Get onboard a mega yacht with friends and enjoy a four-hour cruise, where you can relax and enjoy the dazzling Dubai coastline from Dubai Marina. 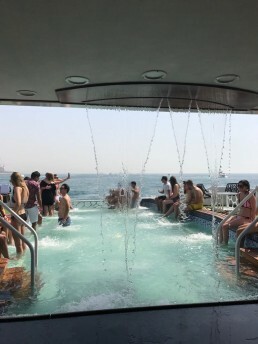 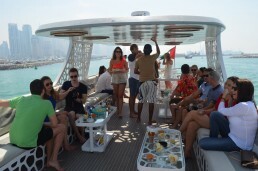 Upgrade to VIP and experience the VIP jacuzzi section at the front of the yacht and premium drinks. Every Friday 1-5pm, with unlimited bar and international buffet – cruise through the amazing high rises of Dubai Marina, see the Ain Dubai (Dubai Eye), the stunning Burj al Arab and Palm Jumeirah. 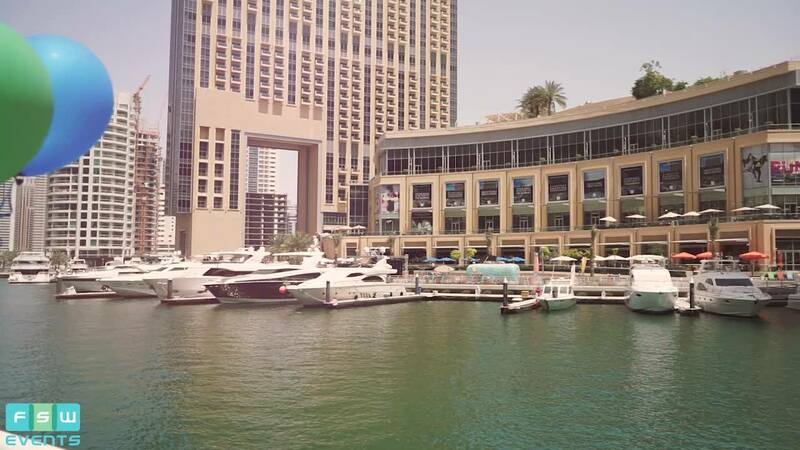 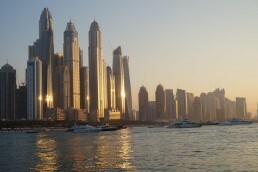 Departing Dubai Marina by Dubai Marina Mall, with easy access via taxi from Pier 7 valet parking.